Since the early days of planning the Centennial Campus and University Street, there has been the view held that somehow the Main Library should be better integrated into the human traffic flow emanating from these structures and the imminent MTR station. For some years now the notion of a new Main Library entrance has been proposed, discussed and approved by various committees including the Senate Library Committee and the University’s Accommodation Committee. Construction work commenced in July 2015 with a projected completion of January 2016. 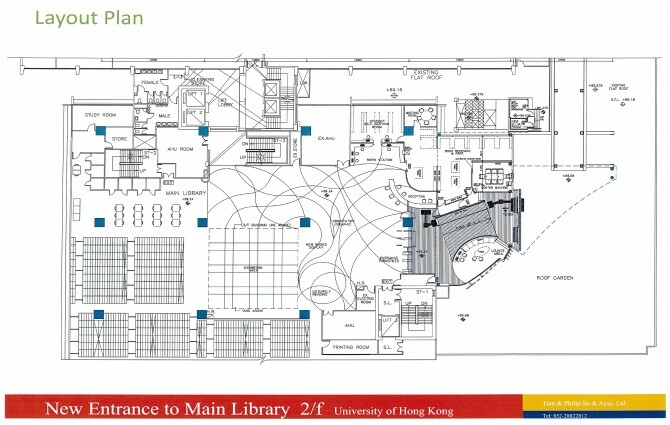 As part of the construction of the new 2/F Main Library Entrance, the Exhibition Space will be a generous open area used to display material from the Libraries’ Special Collections. 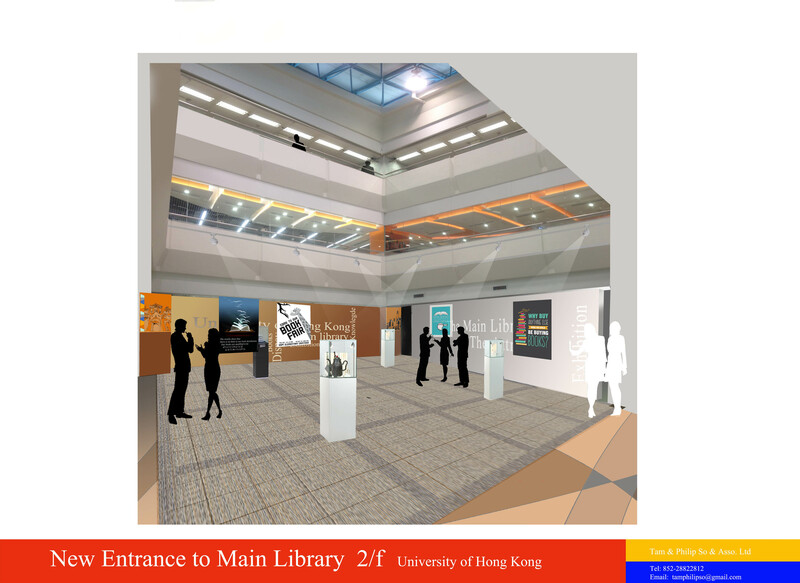 The Exhibition Space also will become a vibrant new location for the Libraries’ outreach programmes to host art exhibitions, book talks, and a wide range of HKU community sharing events. Touch screen kiosk stations would provide an interactive interface for the Libraries’ readers. In today’s world of mobile devices, individuals have become accustomed to touch screens for accessing information, viewing collections, searching for online information, and providing valuable feedback and comments. Touch screens kiosks provide a fast and intuitive interface for readers and can greatly simplify reader interaction by means of a few display selections. No keyboard is required, which saves space and simplifies the search process. Space saving is also gained by the removal of poster stands and roll-up banners. 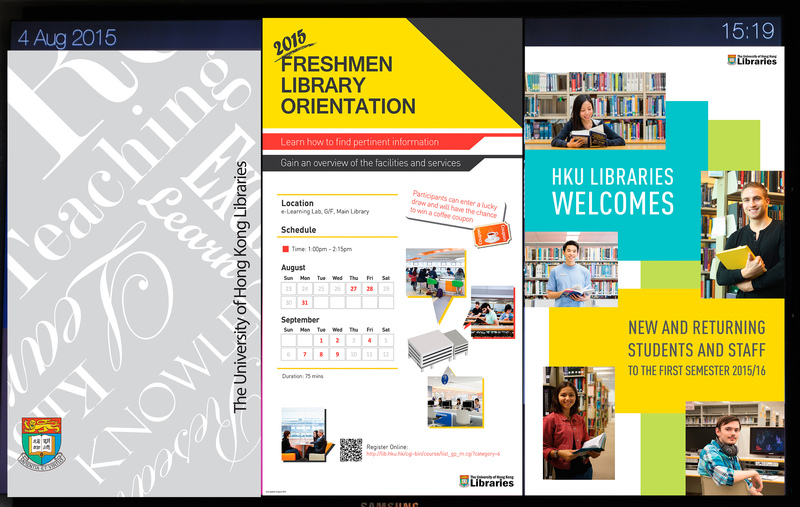 The Touch Screen Kiosk Project would help provide an easy-to-use interface and easy-to-access content for the HKU Libraries’ readers.